Drumming up new ideas for lunch box snacks can seem next to impossible after the first few days of school. Today I am sharing one of my favorites in the hope of giving you something new and fun to start off the year. 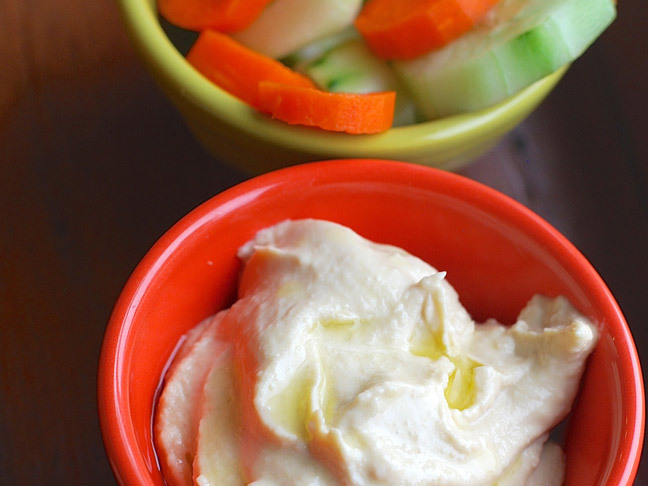 Buying hummus is easy, but I’ve always preferred the homemade version. It is creamy and richer and, believe it or not, less expensive to make from scratch. I also like to add a few spices for flavor, and you can always adjust them a little bit to suit your taste! When packing your homemade hummus in a lunch box use a container with a snap-on lid, then pack a big bag of chopped vegetables beside it. Happy, healthy snacking will ensue at school the second the bell rings! Step 1: In the bowl of a food processor fitted with a blade attachment add the chickpeas, lemon, tahini, and garlic and blitz until smooth. Step 2: Then add the 2 tablespoons of olive oil, salt, and cumin and pulse again until very smooth. If the hummus seems too thick at this point add a little water 1 tablespoon at a time, pulsing well after each addition, until desired consistency is reached. 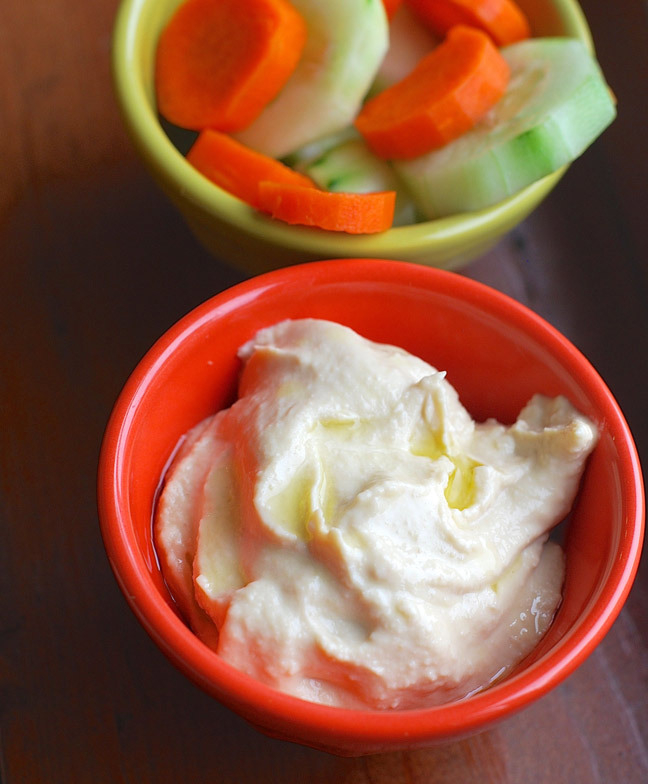 Step 3: Transfer the hummus to a serving dish, drizzle with the remaining olive oil, and top with a pinch of paprika. Serve with vegetables!